Ultimate Pulse Heat Controller with Concurrency Control of Temperature and Displacement! 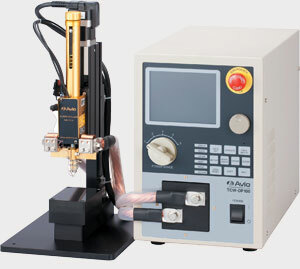 High Precision Displacement Control: Overtravelling amount is controlled by feedback of displacement amount in 1μm resolution, and uniform melting amount can be realized. Digital Temperature Control: High speed and highly accurate temperature control is realized by the digital PID control method, making the unit suitable for fine wires and micro-miniature works. Release Function: After heating, the solder thickness between the works can be secured. User Interface: RS-232C&I/O is standard equipped making the unit easy to interface with the external equipment such as the case of incorporating in an automated system.